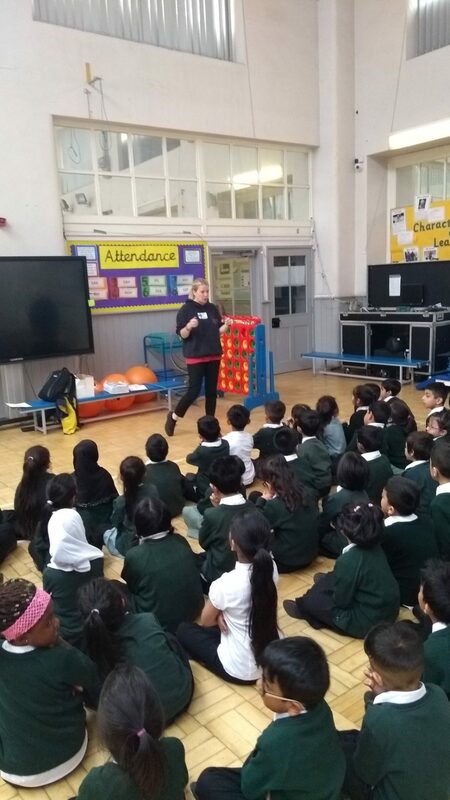 Through a partnership with Northern Ballet, pupils from Green Lane Primary School in Bradford were able to experience ballet for the first time and participate in dance, movement and storytelling workshops as well as achieve Arts Award Discover. Written by Stephanie Briggs. 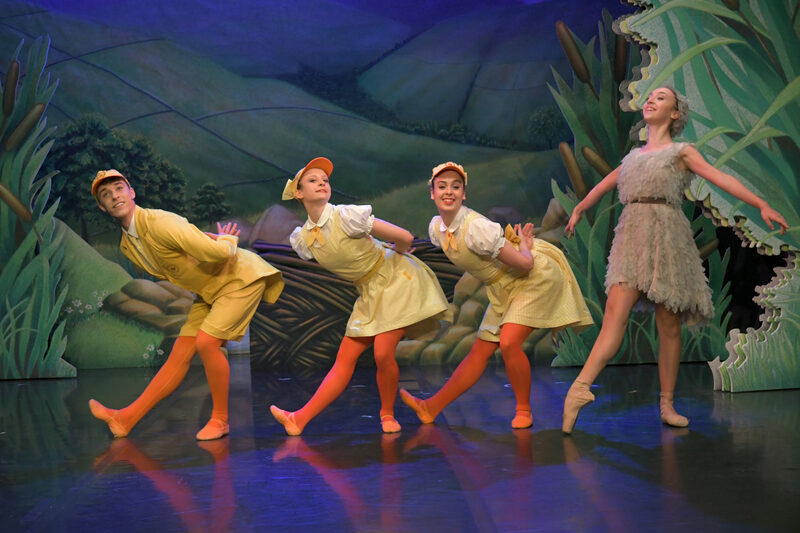 The project was based on Northern Ballet’s children’s ballet, Ugly Duckling (as seen on CBeebies) and delivered through a series of workshops facilitated by Dance Education Officer Philippa Ranger. Pupils explored the story through expressive movement as well as learning about various aspects of a dance company and their productions. Children and their families also had the opportunity to attend a live performance of the Ugly Duckling, hosted by their school. With support from teachers, they recorded their experiences in bespoke log books provided by Northern Ballet, capturing the evidence required to gain Arts Award Discover. Ninety pupils engaged with the arts through dance with seventy achieving Arts Award Discover. Dance workshops promoted literacy and helped develop co-ordination and gross motor skills. Pupils and family members were introduced to ballet in an accessible community venue. Teachers built their confidence through an after school CPD session. Green Lane Primary School is a large primary school and Designated Specialist Provision for children with speech, language and communication needs and autism. The majority of pupils are from minority ethnic groups and do not speak English as their first language. The school therefore has a strong focus on literacy and language development; good practice in this area includes teaching Makaton to all Early Years and Key Stage 1 pupils to support communication and learning, particularly amongst children with Special Educational Needs and those not meeting age-related expectations on entry. Northern Ballet is a renowned dance company based in Leeds city centre where their studios and academy are located. Committed to creating new work and performing for audiences who wouldn’t traditionally have access to the ballet, they tour widely throughout the UK, as well as internationally. They have received a number of national awards recognising their work in raising the profile of dance in the UK. Having worked in partnership since 2015, the two organisations formed an effective working relationship over a period of several years which provided a basis to develop this latest project. The financial contribution from Green Lane supported the additional element of delivering Arts Award. 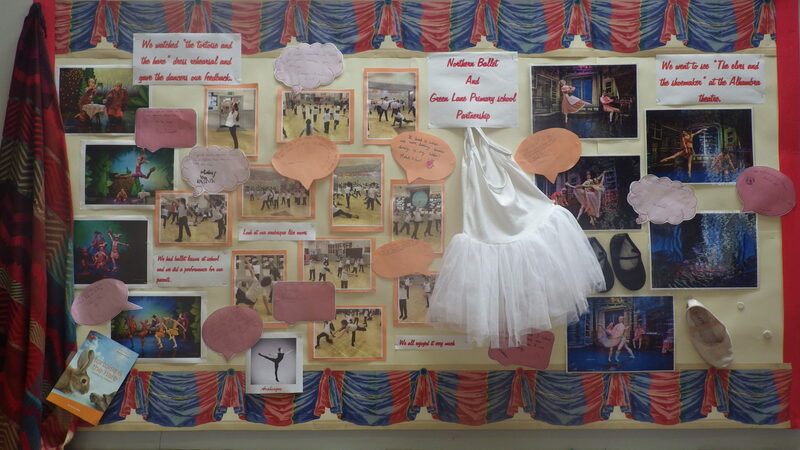 This shift in focus felt like the logical next step for the school, who were keen to provide a more in-depth experience for pupils, not only enthusing them through ballet but also enabling them to gain a tangible award for their efforts. This represented a renewed commitment on both sides to create a lasting legacy and embed dance within arts provision and the wider curriculum. The project was an example of supporting and measuring pupils’ holistic development through cross-curricular learning and was linked closely with priorities in the School Improvement Plan. Whilst the school have a dedicated Performing Arts Department and all pupils have one performing arts lesson each week, staff felt dance sessions would be best delivered by a specialist and were keen for children to meet professional dancers as part of the project. By bringing in a dance practitioner, the school aimed to broaden their arts offer and include dance and movement as part of a varied performing arts timetable. Incorporating the programme into lessons as opposed to offering it as an after school activity, meant all pupils in the year group were able to attend the sessions. Northern Ballet meanwhile had the challenge of reaching a wider, more diverse audience than would generally attend performances at Bradford’s mainstream theatres such as The Alhambra. The school provided direct links to the local community, enabling the Company to engage with a new audience through delivering high-quality productions in familiar community venues at an accessible entry price. Such connections help Northern Ballet to meet the aims set out in their Diversity Action Plan and engage with audiences that more accurately represent local communities. Working in partnership with an arts organisation enables the school to have sessions delivered by a specialist dance practitioner, however, it doesn’t generate external funding to subsidise additional elements. 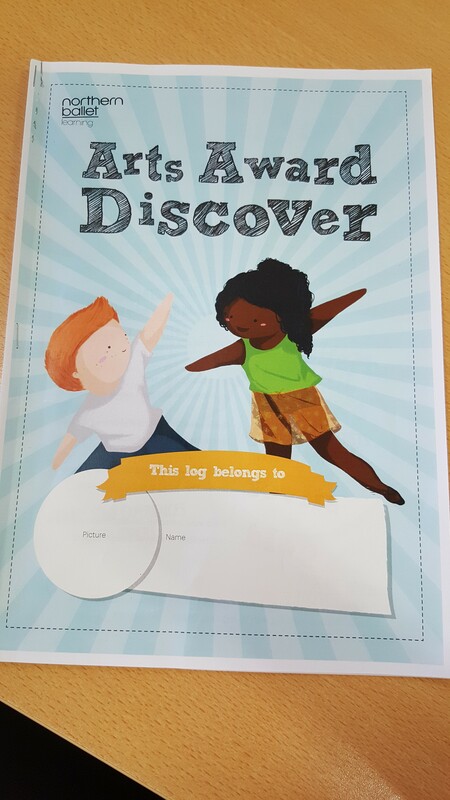 Aware that the cost of certification had previously been a barrier to the school delivering Arts Award, Northern Ballet offered to develop a bespoke Discover log book for all pupils to record their arts activity, therefore reducing the overall costs associated with entering pupils for the Award. The school then covered the registration fees for the Year 1 cohort, demonstrating their commitment to the project and arts engagement. The previous year’s project had supported Key Stage 2 pupils to look at poetry through dance, and teachers decided to this time work with Year 1s for whom Ugly Duckling was age appropriate. All Key Stage 1 pupils are encouraged to read and enjoy stories, therefore staff agreed the focus of this dance project would be on storytelling with the aim of developing literacy skills. The format of Arts Award Discover complemented this aim through encouraging not only participation but reflection and sharing. As well as introducing children to ballet, the project provided an opportunity for many to experience dance, movement, music and theatre for the first time. 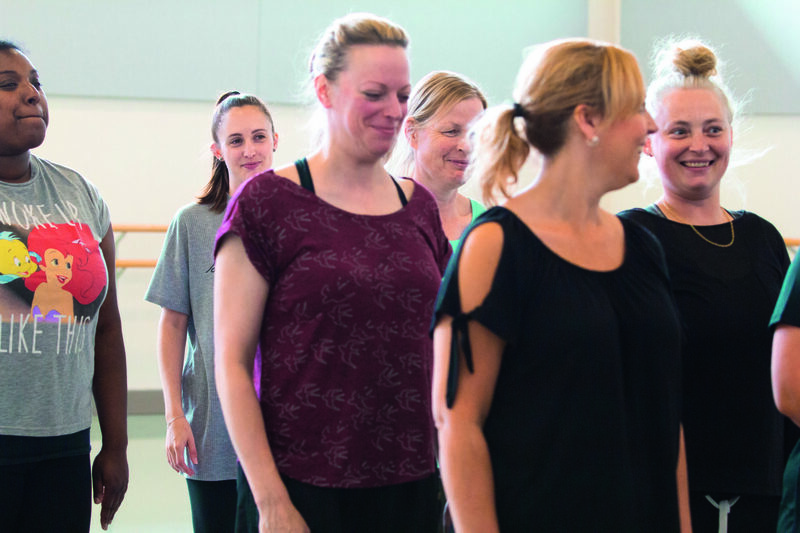 Northern Ballet hoped that with their support, dance would become embedded as the norm and teachers would develop their ability and confidence to incorporate movement and dance into lessons, as a valuable tool to support learning, memory, creativity, curiosity, well-being and self-expression. The project took place during the summer term once Year 1s had settled into the school routine and had two terms’ academic input. Three classes participated in weekly lessons led by Philippa and supported by school staff. Through storytelling techniques and use of movement, Philippa enabled the children to engage with Ugly Duckling, which is based on Hans Christian Andersen’s famous fairytale, guiding them though the story and bringing to life the different animals. This process deepened the children’s understanding and they were able to relate to the characters, identifying how each one might feel. The story also introduces themes of friendship, identity, belonging and resilience and conveys a positive message to children about overcoming troubles. As a trained Arts Award Advisor, Philippa moderated the completed log books and applied for certificates, thus providing extra capacity for the school. The project culminated in an award assembly at which the children were presented with their certificates. Reflecting on the success of the partnership, Marleen Tiemens, Performing Arts Teacher explained that the response from parents had been overwhelmingly positive. Teachers too valued the opportunity for pupils to take part in dance and see ballet for the first time. “I love that our school had the opportunity to host such a wonderful show. Thank you.” They noted a key benefit of the sessions being support for the development of co-ordination and gross motor skills. They also identified the chance to look at vocabulary describing movement and children’s use of expression as being different to their regular planned activities. 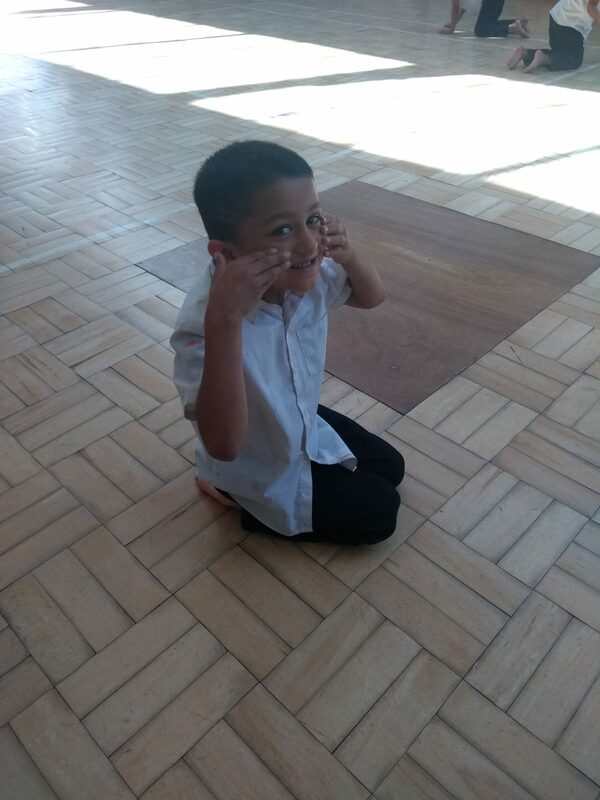 Some staff commented on how nice it was to see the children dancing as, due to the school’s size, performing arts and PE are delivered by specialist teachers rather than class teachers. The project enabled teachers and parents to see children for whom the classroom environment can be a challenge, engaging positively, looking happy and expressing pride. Participation in the arts enables children to express themselves without the constraints of being ‘right or wrong’ thus developing their confidence. Through the use of storytelling and the themes presented by Ugly Duckling, children developed their emotional literacy and language skills. 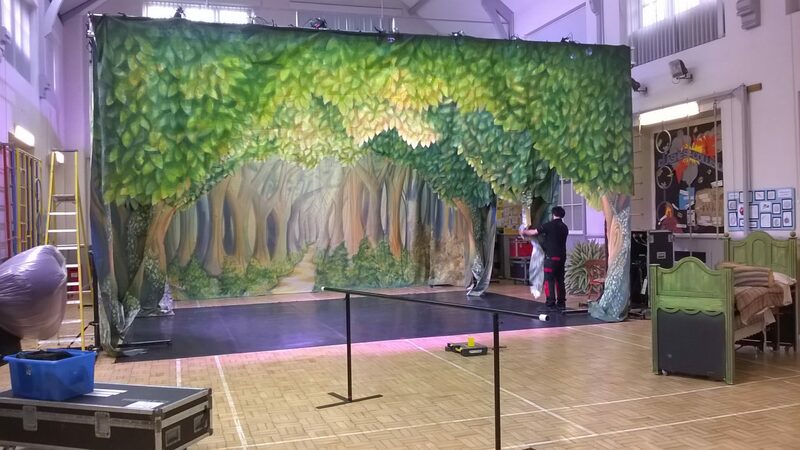 As a result of the partnership, Northern Ballet were able to establish Green Lane Primary School as a community venue and bring a professional ballet to a local audience. Not only was the setting familiar, but staff intentionally created an informal, relaxed environment with the use of varied seating including beanbags to ensure a family-friendly experience. At two pounds each, ticket prices were a fraction of the cost of regular theatre entry, which addressed another barrier for families wishing to attend. Working with the school also provided an insight into cultural considerations which impact engagement and this learning will inform future projects. One audience member commented. Altogether ninety pupils took part in the project with seventy Year 1s gaining Arts Award Discover which formally recognises the children’s achievements. The bespoke log books added structure to the programme and provided a record of the children’s engagement in arts activities as well as encouraging them to reflect on their experiences. One pupil shared a highlight, “I liked it when we learned about David Nixon. He is an artist director. I want to be an artist when I am big.” Having been introduced to the scheme, children can build on the initial Discover level to achieve accreditation for future arts engagement, either through a primary or secondary school or via an arts organisation or informal education setting. The two organisations are now working together to build on the success of this year’s project and have committed to a further three-year partnership which will enable them to adapt the programme, incorporating the evaluation of what worked well and reaching many more pupils and their families. Collaborating over this sustained period will enable Green Lane Primary School, with Northern Ballet’s support, to firmly establish dance and specifically ballet within the school’s performing arts curriculum. Philippa’s hope is that having experienced ballet at a young age, the children will be more open to it in future. Pupils who completed the programme are already excited about next year’s live performance. For more information on how Arts Award can provide a framework for developing performance skills, please visit our Arts Award page.